I am happy to return to Bossangoa of Central African Republic, which I came 2 years ago when the huge humanitarian crisis started. The fighting and violence decreased quite a lot but robbery and theft are still happening a lot in this country. The Bossangoa project started 3 years ago as an emergency project. And now it has become the anchoring project in the area. More than half of the staff I knew 2 years ago is still working in Bassangoa so I felt like half home when I arrived. My French is still terrible, especially the listening part, but I manage to survive with it and ask for patients’ history and give orders clearly. Writing orders in patients’ file and details about operations are even easier. With less violence and more stable conditions, people around the region are easier to seek for medical care, and hence contributing to an increase in demand in our hospital with over 200% bed occupancy in most of the medical wards and more than 100% occupancy in our surgical wards. I had to perform 50% more surgeries here than the average in other missions -- 89 major interventions in 6 weeks, compared to my usual 100-120 surgeries in 3 months in my previous missions. As the only surgeon in the project, I was 7/24. That means I was on call 7 days a week and 24 hours every day. I needed to be mentally and physically ready for any emergency advice and surgeries at any time in the project. With the increased workload, I was pretty tired after 5 to 6 weeks and really needed a break. But the only doctor that could replace me for a short period of time had been away in Bangui for training for quite a while. He is the medical director of our hospital who is hired by the local government and is capable for performing surgery. I was able to fly out of the project finally when he came back. The flight to Bangui was just an hour and I slept for 15 minutes after the plane took off, only waking up feeling exhausted. That is what I feel every time I leave a project. I am able to relax and drop my guard. I guess the adrenal dump is finally switched off. Do wish I can rest well and feel refreshed and back to the fighting mood when I fly back to Bassangoa. Hello to everyone in Hong Kong especially to my family and all the staffs of MSF-HK office. Central African Republic (CAR) has been in turmoil following the violent conflicts in 2013, which aggravates the humanitarian emergency in the country. 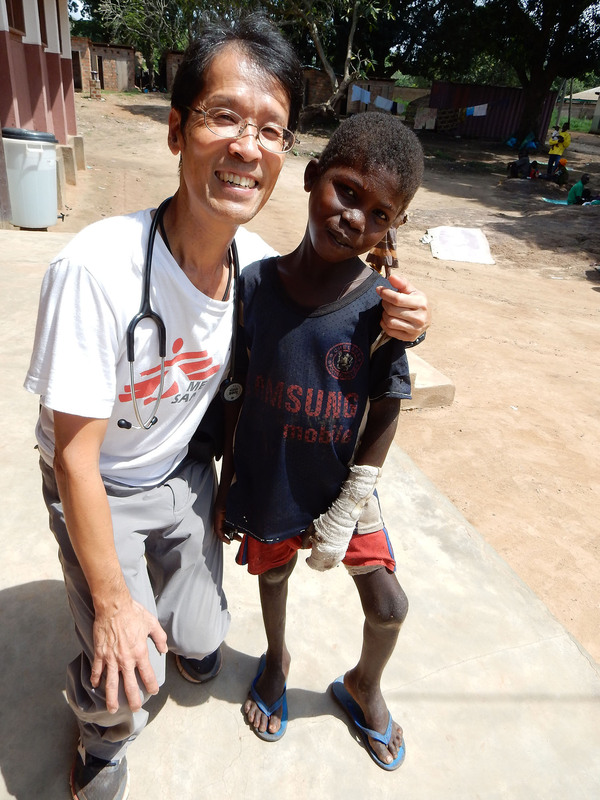 Dr Ryan Ko is a surgeon from Hong Kong who has worked in Bossangoa, CAR in 2014. He returns there this year for his 9th MSF mission. 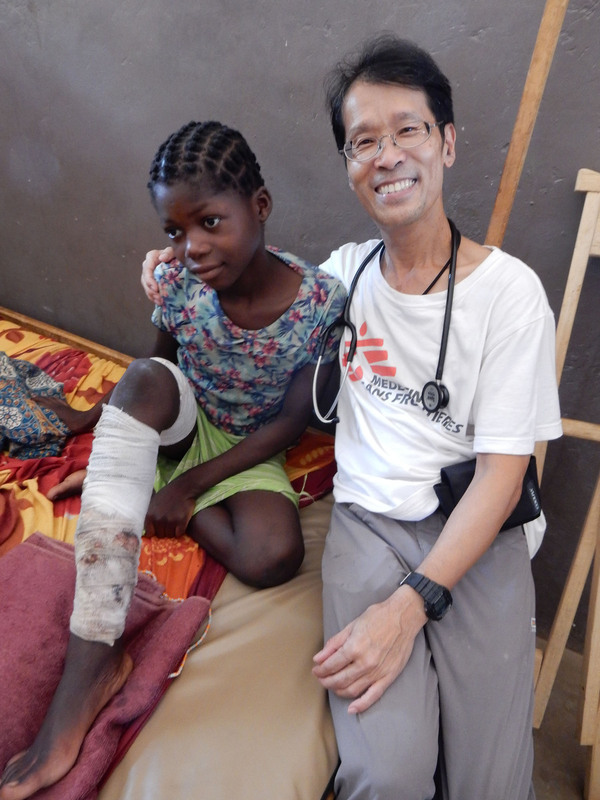 He shares what it is like to work as the only surgeon in the project during his break.